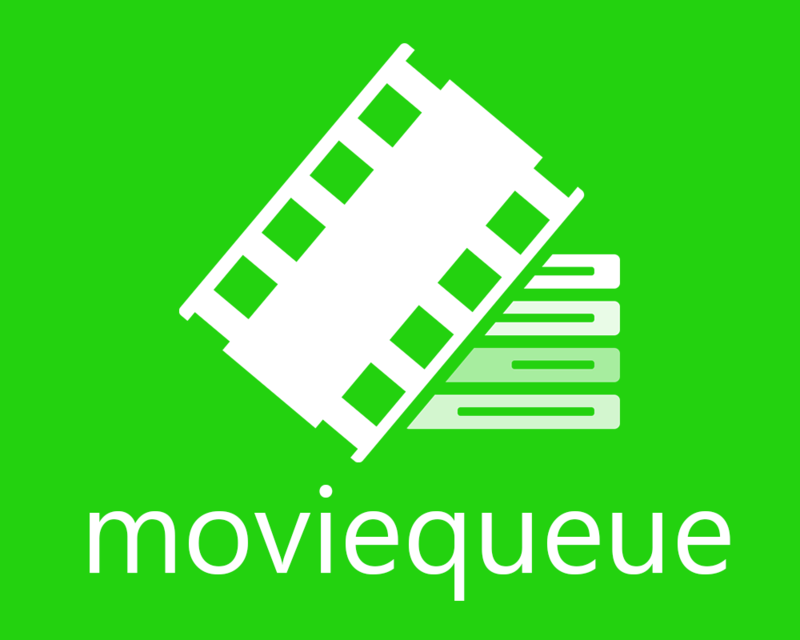 Bookqueue II and Moviequeue v1.16 introduced content caching. 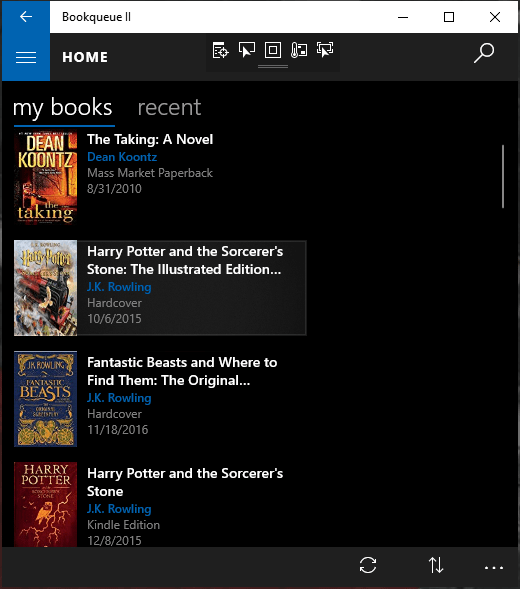 As previously outlined in Bookqueue, we have a problem, the new update is intended to help increase availability of content. The content caching is On by default but can be turned Off in the Settings under Amazon. Look for the Content Caching section. When turning Content Caching Off, the change will not be immediate but takes effect the next time the application is restarted. Caching is limited in size to approximately 1MB on the device. If the cache gets larger, it will automatically delete its cache to make room for new content. A new chapter is about to start for Bookqueue! As highlighted in a previous post – “Bookqueue, we have a problem”, new challenges presents new opportunities. How the journey will end is unknown as of this writing, but at this time Bookqueue is continuing on. Bookqueue was originally created to serve my family since its inception in 2012. The family and community has been great supporters of the application over the years and finding this new challenge has not made anyone particularly happy. Especially my spouse and you probably know what they say “When Mommy isn’t happy…”. So, we are going to work on getting Bookqueue back to making everyone happy! There are short-term bug fixes and updates that will come to Bookqueue to remove crashes and provide better error information. This will include removal of localized Amazon countries where Bookqueue usage was low and subsequently blocked. The outcome of these changes should bring some stability to the application although its capabilities will be limited in nature under current constraints. Ideas are starting as to how we can bring Bookqueue capabilities back to full throttle. These include ways for how our family and community members can help drive advertising revenue activity within a continuous 30-day timespan to satisfy the Amazon Efficiency Guidelines and not be throttled. We are still seeking to limit the ‘book sell’ feature of Bookqueue but may have to move from a passive to a semi-active process to meet Amazon guidelines. Alternatives to utilizing the Amazon advertising system as the content provider are being considered but at a low priority as Bookqueue’s value has been directly attributed to Amazon’s backend systems. I plan to provide periodic updates when available, but welcome community feedback if you have suggestions as to how Bookqueue can thrive in the new norm. Happy reading! 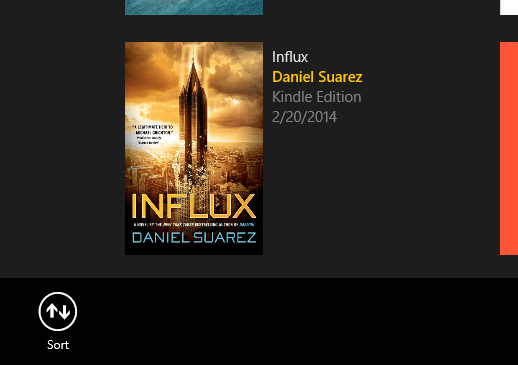 Bookqueue, we have a problem. I have recently observed and been notified by Bookqueue users of crashes and error messages stating that it is submitting requests too quickly. Initial symptoms indicated a bug in the application but once I started to debug I discovered that (beyond bugs) the issue runs much deeper. The main problem that has come up is that Amazon has changed its request throttling logic as of January 23rd, 2019 based on new Efficiency Guidelines. Though the change in Amazon’s guidelines has directly impacted the usability of Bookqueue, I want to stress this is NOT Amazon’s fault. 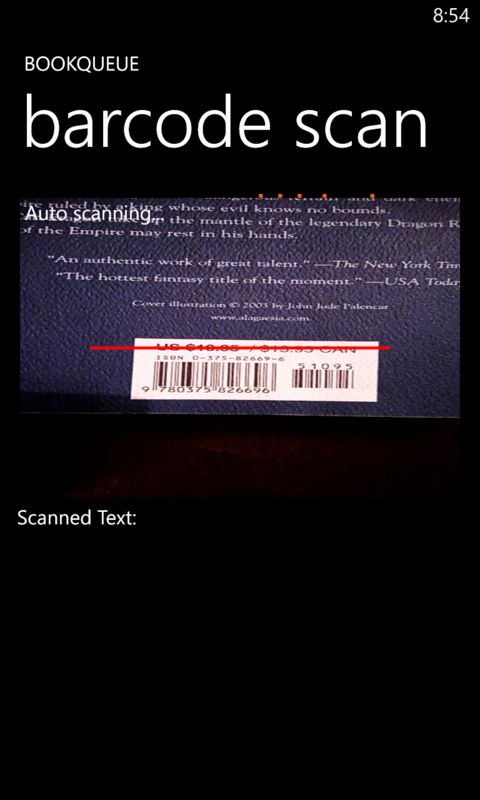 Instead, the impact is caused by opposing design intents between Bookqueue and Amazon. To give some history, Bookqueue, came about in 2012 based on a family need to help better find and manage books. We were/are avid eBook readers (particularly my spouse) using Amazon Kindles and found ourselves buying books on a continuous basis. The continuous basis ended up creating a pre-purchased queue of books for future reading. This ‘pre-purchased queue’ created an opportunity to not only help our bank account but also our mental buyers remorse of not reading a previously purchased book when coming across a new book of greater interest. Many applications were available at the time to solve this, such as goodreads, but we were interested in something more targeted to our needs. 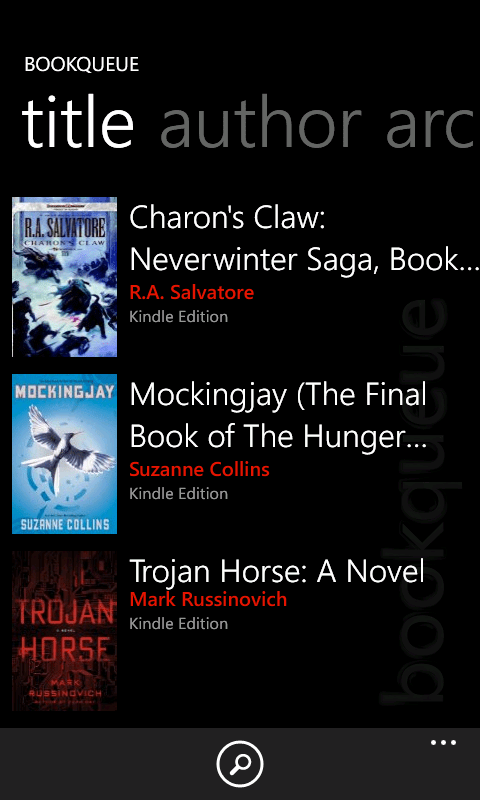 Hence the first release of Bookqueue for Windows Phone 7 in 2012. As we were targeting Amazon’s Kindle book catalog, Bookqueue takes advantage of a public application programming interface that Amazon utilizes for its affiliate partners to advertise its full product catalog, not just books. It is this interface that is impacted by the new Efficiency Guidelines. 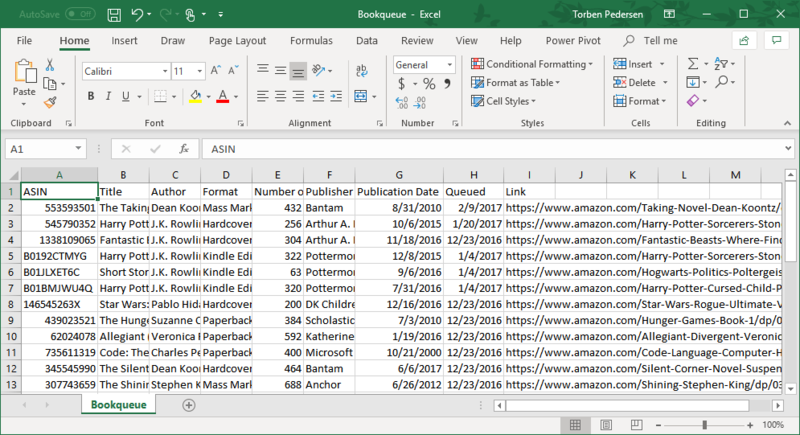 Back in 2012 and up until January 23, 2019, there has always been an effective throttle limit adhered to by Bookqueue as to how frequently it could call the interface for book searches, descriptions, author searches, similar book searches, etc. Until now, frequency, has been the only factor applied to the throttle limit for using the advertising interface. The new guidelines adds a second factor in the form of – generated advertising revenue. 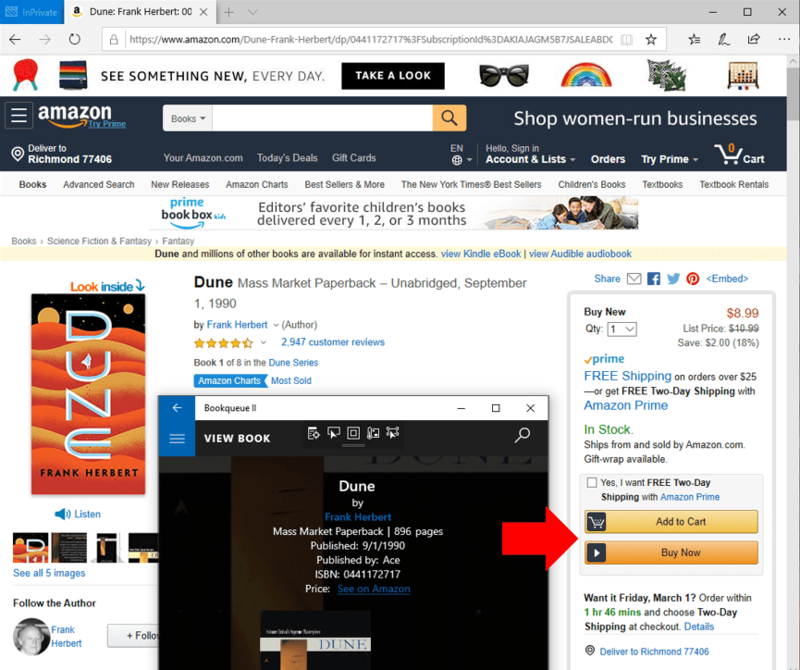 This advertising revenue is generated by Bookqueue if a user chooses to go through Bookqueue’s link to view the book on Amazon and subsequently purchases the book on the Amazon website. 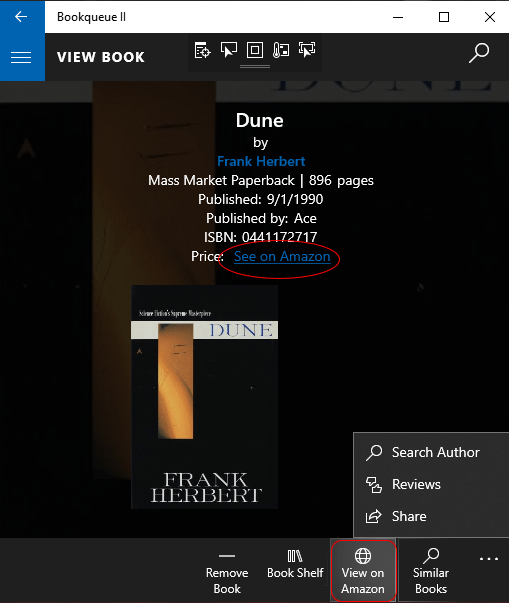 Some Bookqueue users have utilized this feature to purchase books in the past which provided small advertising revenue to buy a book every now and then and has been greatly appreciated. However, direct advertising revenue was not a driver for Bookqueue because its primary design function was to create value for the book reader, not selling books. Selling for revenue was the lowest priority of Bookqueue, hence the reason it started out and remains free of in-app ads. This brings us back to the beginning of how Bookqueue is impacted by the new Amazon efficiency guidelines. As the new guidelines are in effect, Bookqueue has not generated advertising revenue in 30-days which has triggered the multi-factor throttle limit on requests. Additionally, inactivity (no usage) in countries with localized Amazon regions has caused the advertising interface to be closed completely. Without doubt, Bookqueue’s value for the past many years has been completely attributed to Amazon’s incredible product advertising system. It is also understandable that Amazon has to manage their operational efficiencies and balance the cost of supporting an advertising system against its generated revenue. This balance places Bookqueue in a challenging position to its future as to whether it can be successful under these constraints. Regardless of your decision to continue or leave Bookqueue, I would like to thank the community for the incredible feedback and support you have provided through the years. Our family’s reader experience has benefited from your many feature suggestions and input. As always, your comments/feedback to this post and the future of Bookqueue is much appreciated. Note: this article also applies to Bookqueue’s sister application, Moviequeue. 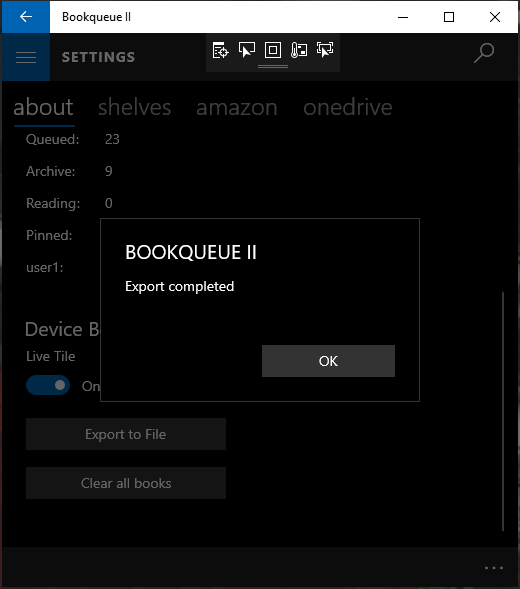 Bookqueue and Bookqueue II provide an “Export to File” feature that creates a comma separated file of all your queued books. 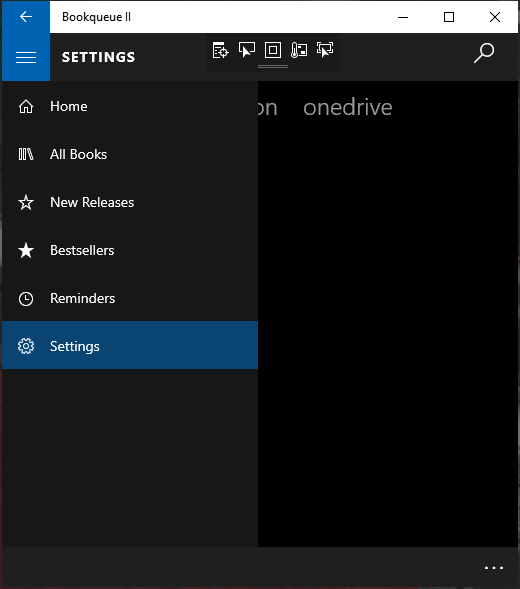 This feature is convenient if you wish to have an offline backup or need to transfer your books to a different application. The following steps illustrate how to use the “Export to File” feature. With the recent release of Bookqueue II, it was a good opportunity to bring a sister application online, Moviequeue. Moviequeue follows its older sister’s objective and features of finding and queuing movies for reference and/or later viewing. 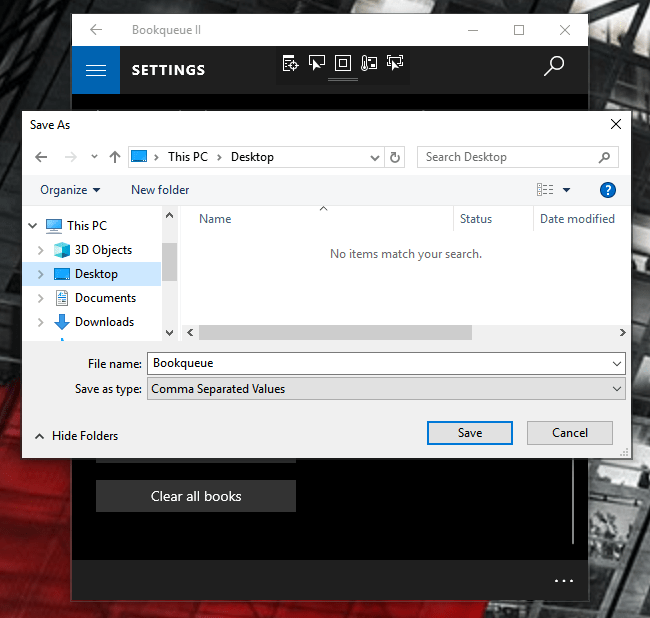 The application is integrated with Amazon Video for searching the Amazon video catalog and ability to filter based on online or physical movie media. 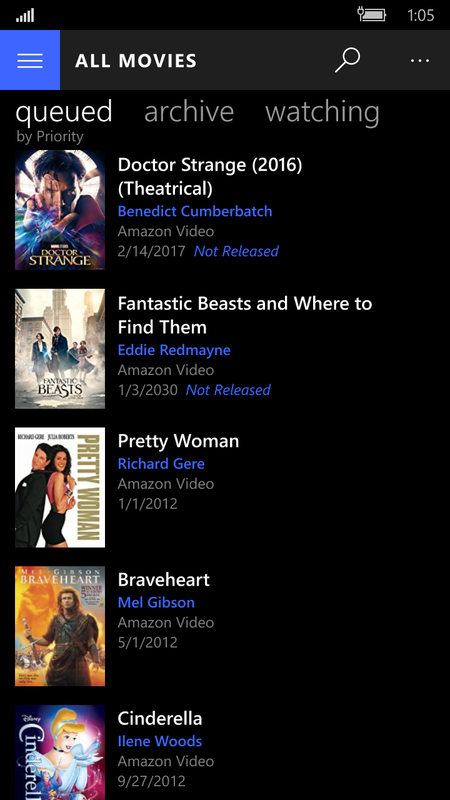 Moviequeue is available for Windows 10 and Android via the Windows and Google Play app stores. It’s been a while and time to get going again! Been looking into Bots which has recently been a conversation topic of Facebook and Microsoft. The underlying idea is that a Bot could be used as an assistant to help answer or do different tasks on your behalf. Looking at the history of Bookqueue it made me consider what is one of the primary capabilities of the application, searching for books. Before we had Personal PC’s, I would go the Library for a similar capability and ask my local librarian if she could find a book for me. Hence, the birth of the LibrarianBot. Should you get stuck, try entering ‘help’ to get instructions of phrases the bot can understand. Give it a try and please leave your feedback.